Woking in a salon I’m lucky to get the odd freebie from time to time. Last week we were all treated to a Pureology gift bag set for our efforts in selling retail. If I’m honest the gift bag itself isn’t really my thing, but the actual product inside…well let’s just say I’m in LOVE! 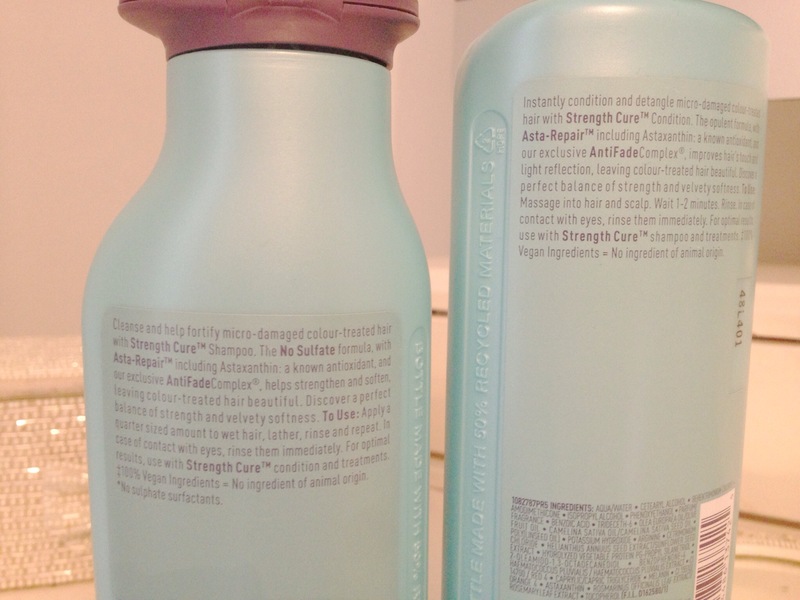 Here’s a clever idea, the lid for the shampoo is at the top of the bottle and the lid for the conditioner is at the bottom of the bottle. So although the bottles are the same shape/colour they are easy to work out while your in the shower and not quite awake yet! 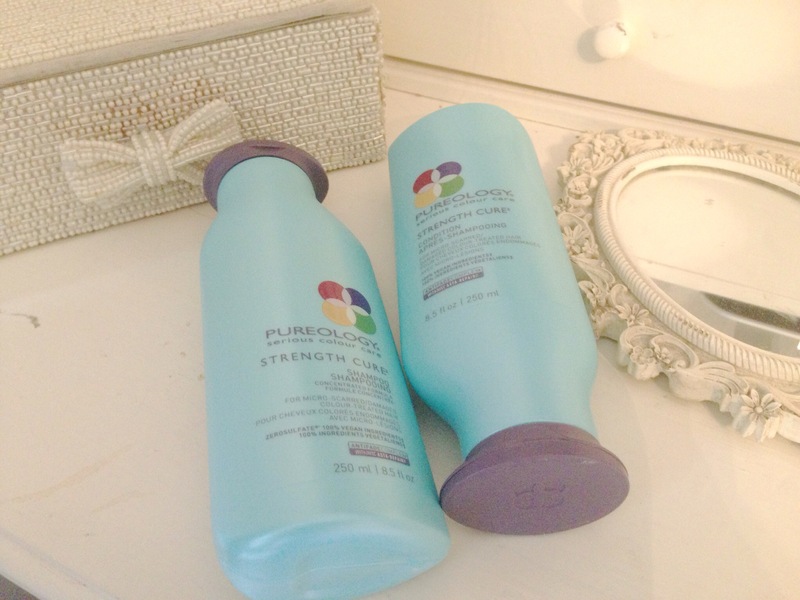 The shampoo; Gives your hair strength, reduces breakage and brings softness to every hair on your head. It will strengthen the fibre in your hair and remove dull residue. Featuring Pureology’s Antifadecomplex and Asta-Repair, the Strength Cure rich foam cleanser controls the look of frizz, whilst helping to repair and strengthen micro damaged zones. The conditioner; Working to detangle, strengthen, and condition it is the ideal product to look after your hair. With its opulent Pureology Antifadecomplex and Asta-repair formula, the conditioning product helps to improve hair’s shine and softness, whilst protecting colour radiance between every wash.
Aiming to improve body, smoothness, and suppleness the conditioner helps repair the micro damaged zones by enveloping strands in a smooth coating of Strength Cure conditioner. I’m totally sold and would definitely purchase these products, though they are rich and seem like they will last forever they do not weigh down my fine straight over processed blonde hair. They do the opposite and give my hair fullness and bounce with a shine. I’ve been using these for one week and yes ok I’ve had a few inches cut off my hair which helps, but I can definitely feel and see an improvement with the condition of my hair which is often ironed flat each morning to remove my crash helmet kinks before I start work. 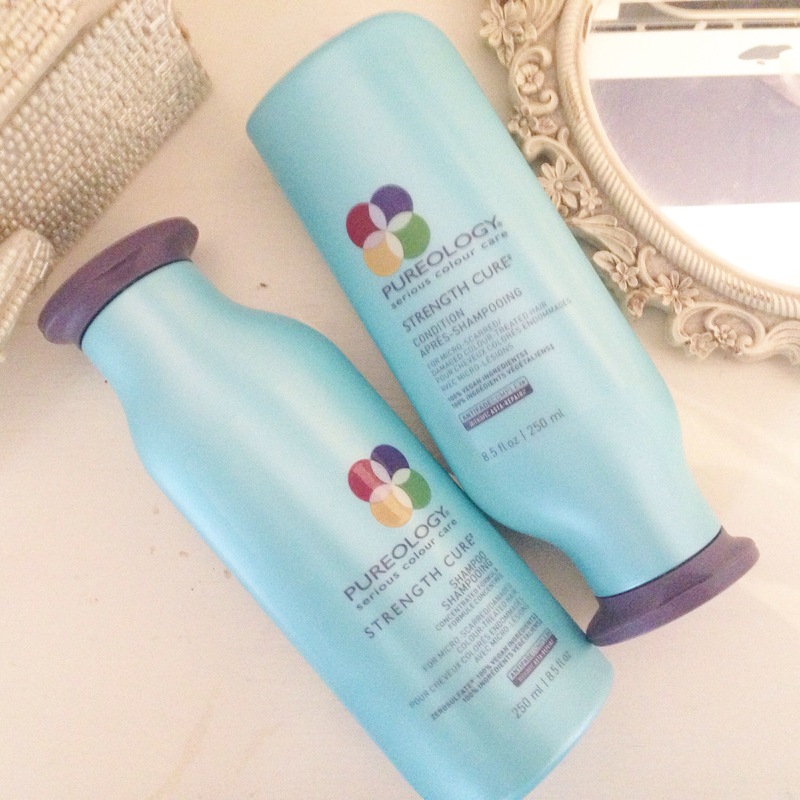 Anyone else tried any products from the fabulous pureology range?